The timing of the trust vote is likely to decide if Chief Minister E Palaniswami survives a trust vote demanded by the AIADMK's rebel lawmakers led by TTV Dhinakaran. He has a bright chance of clearing the confidence test if the rebels are disqualified before he faces the assembly. 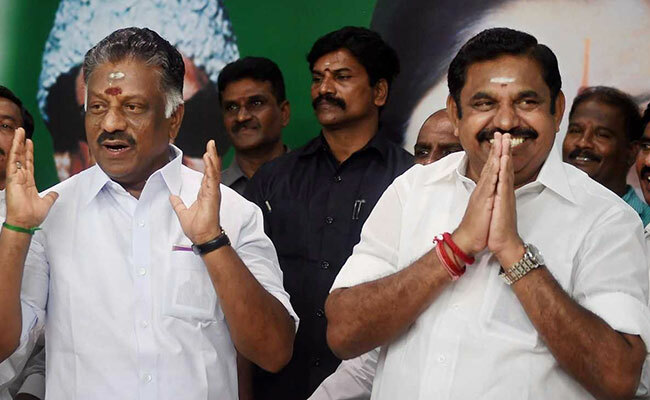 CHENNAI: The question whether Tamil Nadu Chief Minister E Palaniswami should face a trust vote in the assembly reached the Madras High Court today, with both opposition DMK and the rebel TTV Dhinakaran faction of the ruling AIADMK standing on the same side in the court. They told the high court that the Palaniswami government had been reduced to a minority and should be made to take a floor test in the assembly. The high court will continue hearing the two petitions next Wednesday and ordered that no decision should be taken on the matter till then. The DMK's MK Stalin and the ruling party's rebel faction led by Mr Dhinakaran have met Governor C Vidyasagar Rao over the last few weeks to nudge Raj Bhavan to act on letters from 19 AIADMK lawmakers withdrawing support to Mr Palaniswami. Since Governor Rao did not appear to be taking any decision, they approached the high court for directions. The Dhinakaran camp was running out of time and has already lost support of one of the 19 lawmakers who withdrew support from the Palaniswami government. Also, the rebel lawmakers already are facing proceedings before the Assembly Speaker P Dhanapal under the anti-defection law. If the lawmakers get disqualified before the Chief Minister faces the trust vote in the assembly, it would bring down the strength of the assembly and let him sail through the vote of confidence. If they aren't disqualified, the EPS government could fall three votes short of the majority mark. Given how the timing of the trust vote and the disqualification proceedings could determine the survival of the AIADMK government, the state government's top lawyer declined to give any assurance on the proceedings before the Speaker. "I can't say there would be no action against the MLAs," he told the court on Thursday. The deadline set by Assembly Speaker for the rebel lawmakers to rebut charges that they participated in anti-party activities ends on Friday.